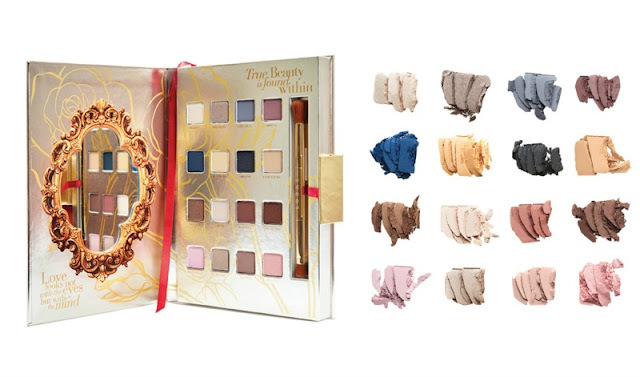 Waltz into a magical journey of wonder and romance with LORAC Los Angeles limited edition “Beauty and the Beast” collection now available at Ulta. Featuring LORAC’s PRO Eye Shadow Palette and Cheek Palette, as well as a Lip Gloss Collection and Lipstick Collection offers amazing ways for you create the beauty tale of our time. Want to create your own look that will the envy of the entire castle? 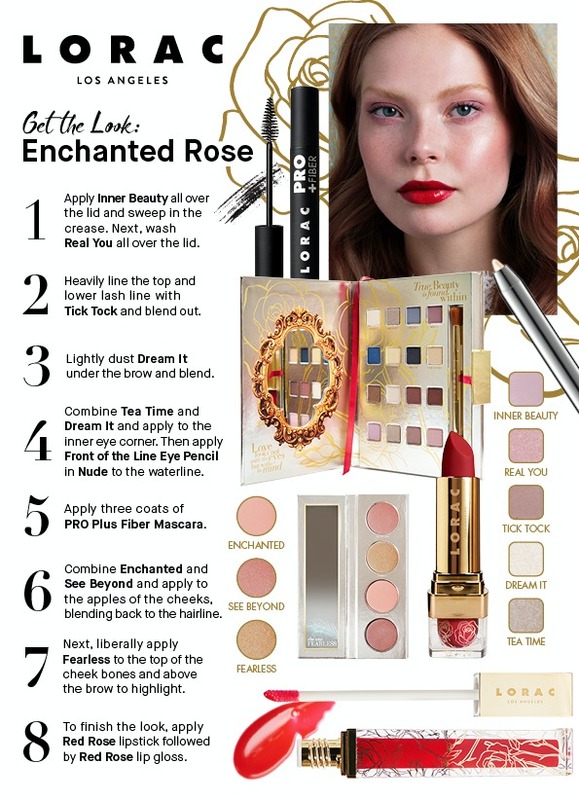 Incorporate every piece of the Beauty and the Beast collection to create the Enchanted Rose look. Follow our step-by-step guide to Get the Look and become the belle of the ball ... read on to find out exactly how! 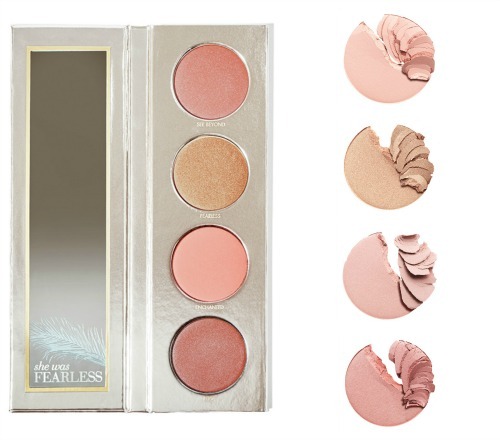 PRO Eye Shadow Palette ($48) - Inspired by Belle’s steadfast strength and undeniable beauty, let this palette take you on a magical journey of wonder and romance. Inspired by Belle’s love of books, the palette tells the story of the film through color. From Belle’s provincial town to stealing Beast’s heart during their iconic dance, each row of shades is representative of a scene in the movie. These eye shadows are hyper pigmented to perform wet or dry so you can shade, shadow, line, and define your eyes like a pro. Cheek Palette ($28) - Drawing on hues of the film’s iconic flower, this rose-inspired palette includes four new and exclusive shades from our Color Source Buildable Blush and Light Source Illuminating Highlighters. These complexion-enhancing formulas can be dusted on lightly for a soft, natural look or layered for dramatic results. Lipstick Collection ($36) - The lush, moderate-coverage MOD Cream Lipstick turns all eyes to the pout and sets our heroine up for a beauty look strong enough to steady a beast. Create the perfect pop of color with Red Rose or achieve a more neutral look with True Beauty. 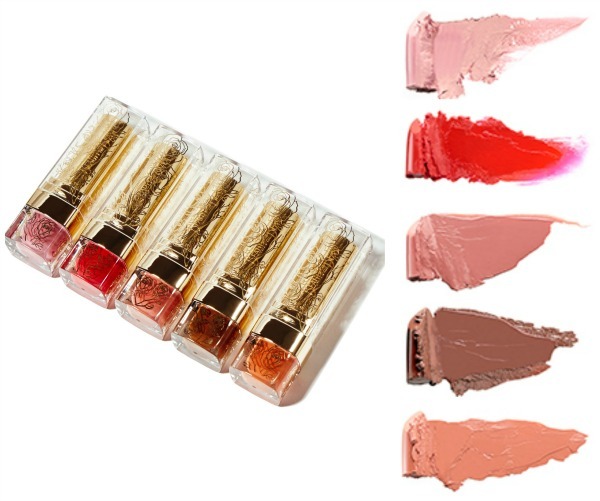 Lip Gloss Collection ($34) - What’s a princess-worthy look without the lip color to finish it? 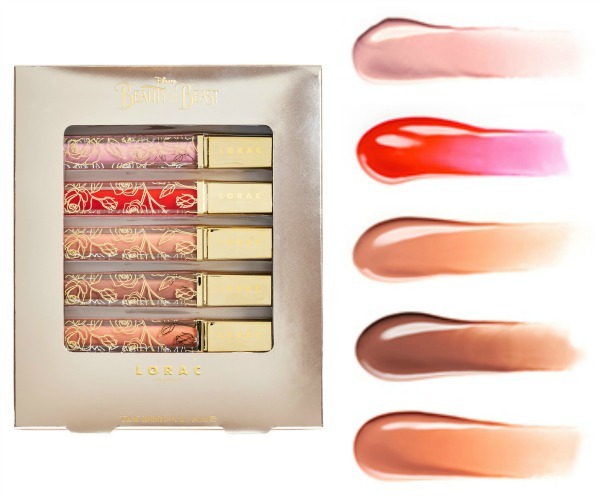 LORAC Los Angeles takes falling in love to the next level with this brand-new lip-gloss. These colors are the perfect companion to our lipstick collection. Use matching MOD Lip Gloss for added shine, or mix and match to create your own custom color. The Limited Edition LORAC’s Beauty and the Beast Collection is available online at LORAC Cosmetics, Kohl’s and Ulta.